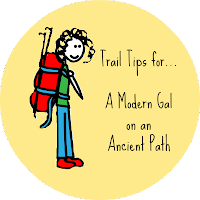 We're moving right along with our review of basic trail tips for walking with Jesus. You never know what's right around the bend, so it's important to be prepared on this path. And one of the ways Christian women can be better prepared for the ups and downs, the twists and turns, and the surprises on the path, is simply to practice a few spiritual disciplines on a regular basis. These disciplines don't save your soul (only the blood of Jesus Christ does that), but they can save you a lot of grief by helping you to grow closer and closer to Christ. Let's face it, Bible study requires even more than discipline. It requires time, commitment, sacrifice, and an investment. But once you become truly invested in studying your Bible, you will find that the returns are 100 fold. If you've not been studying your Bible up to this point, I'd like to offer a few suggestions for how to give it a fair try. Maybe you're new to the faith or maybe you've just allowed others to do the studying and you've listened to or read their thoughts and findings. I'd like to encourage you to get into your Bible yourself, dig around in it a little, and see if you don't unearth a treasure! 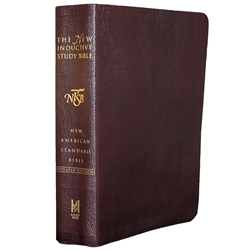 Get a good, "clean" study Bible. By study Bible, I don't mean a Bible that already has study notes in it. I suggest, instead, a "clean" Bible--one without notes or at least one that has limited notes. You do want one that has at least a simple concordance in the back and cross references listed in the margins or near the verses. But you don't need a Bible that has a lot of commentary. I suggest The International Inductive Study Bible. It's the one I've been using for 20 years and I can highly recommend it for its wide margins, basic instructions for study, and good cross reference tools. 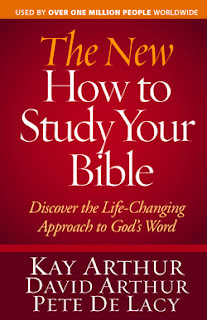 Read How to Study Your Bible by Kay Arthur. Actually, you'll need to "work through" it more than read it. This is where I cut my teeth on Bible study. It may all sound like Greek to you at first, but hang in there. This is not a tough book. It's written in a very understandable way; but if you're new to Bible study, you can expect the concepts to be a little foreign at first. Friend, I encourage you to press on and persevere. Bible study, especially on your own, is extremely rewarding. The Bible tells us that when we have the Holy Spirit living within us, we can understand God's Word for ourselves. That way we can make sure that we place ourselves only under teachers who teach sound doctrine. Invite the Holy Spirit to teach you. We are wise always to invoke the Holy Spirit's guidance when we approach God's Word. Ask Him to open your eyes, give you a teachable heart, guide you into truth, help you discern what God is saying, and instruct you in how to apply what you learn. Join a Bible study group. While I do suggest you educate yourself on how to study God's Word for yourself, I also advocate joining a group Bible study. If you like the methods taught in How to Study Your Bible, I suggest you look for a Precept Upon Precept Bible study in your area. I taught these for about 15 years and I can't say enough about the value of these inductive study classes. You will have a trained teacher, the best of materials, and opportunities for further development. But there are plenty of other good Bible study class options out there. Find a group that fits your schedule, personality, and experience level, but don't be afraid to challenge yourself either. Get the training. If you're willing to go one step further, I suggest you search for a Precept Training Workshop in your area. Precept Ministries conducts training classes for how to study the Bible in Chattanooga at their headquarters and around the country. It's worth the investment and will undoubtedly change your life. It did mine. How do you study the Bible? With a group or a partner, or by yourself? Let us know what has worked for you.